In 1909, Alfred Courmes bought a plot of land with no dwellings on it. He immediately set about building. First, he started building the farm in 1910. In order to provide fresh food for the masters and servants, it was necessary to produce vegetables, fruit, milk, etc. on site. Next door, a stable was built in which to keep the two cows and the horses (for the carts). 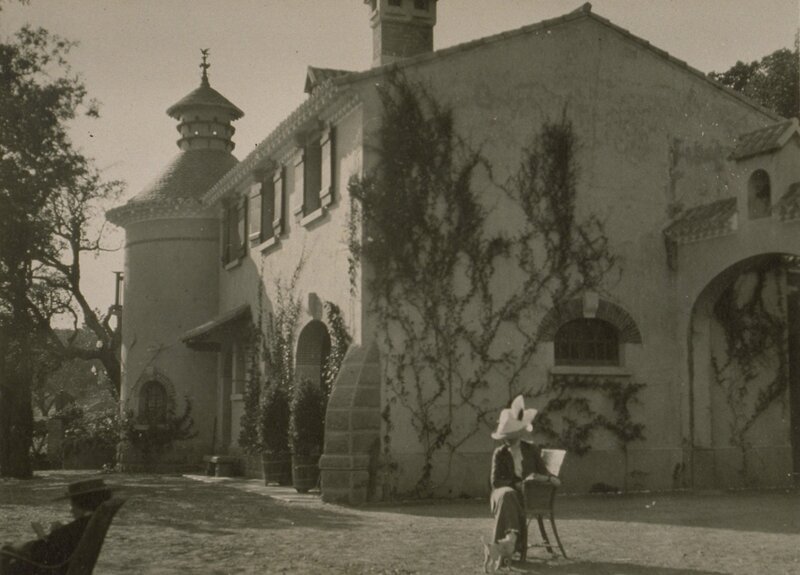 This first building, a pastiche of a Provençal farmhouse, was built under the direction of the architect Guillaume Tronchet, who would go on to build all the Domaine’s buildings. Construction of the main building began in 1912. Interrupted by the First World War, the works were completed around 1921. This building was to give its owner status in the area. Alfred Courmes had meanwhile married Thérèse, 30 years his junior. For the young bride, this residence was not very comfortable, especially in winter. 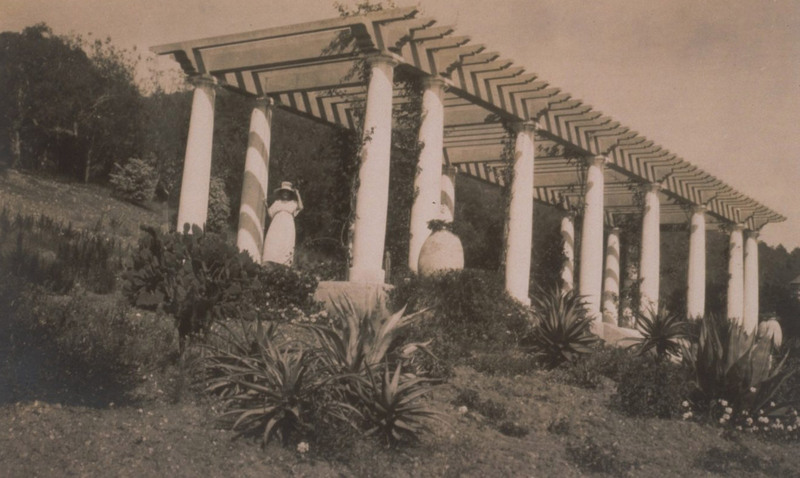 The pergola was built after the war, strongly influenced by Ferdinand Bac, a late 19th-century landscape architect famous for his works on the French Riviera, primarily in the Jardin des Colombières in Menton. 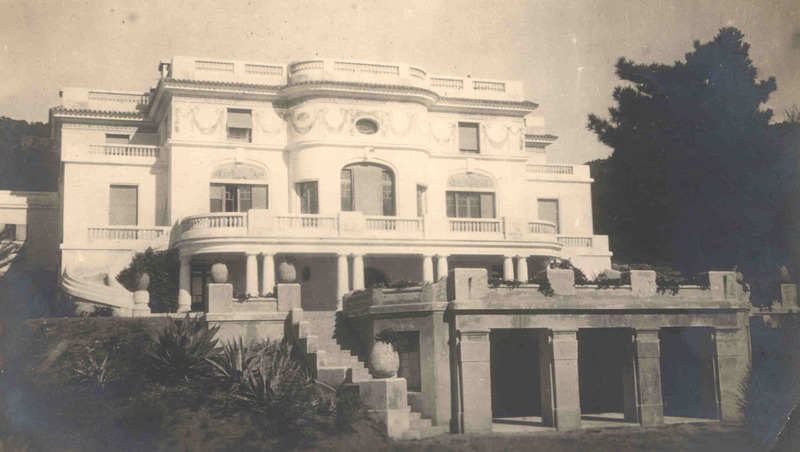 In 1925, Alfred Courmes asked his architect, Guillaume Tronchet, to build him a more comfortable, practical residence, further away from the first buildings of the Le Rayol estate which were being developed at the time. This would be the Villa Rayolet, finished around 1929. 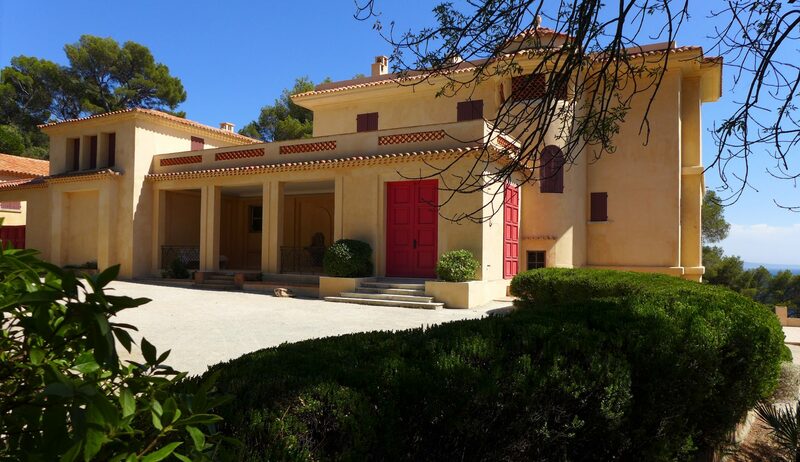 In the meantime, and also with the assistance of Guillaume Tronchet, the Bastidon which was used as the quarters of the head gardener and the Maison de la Plage were built. 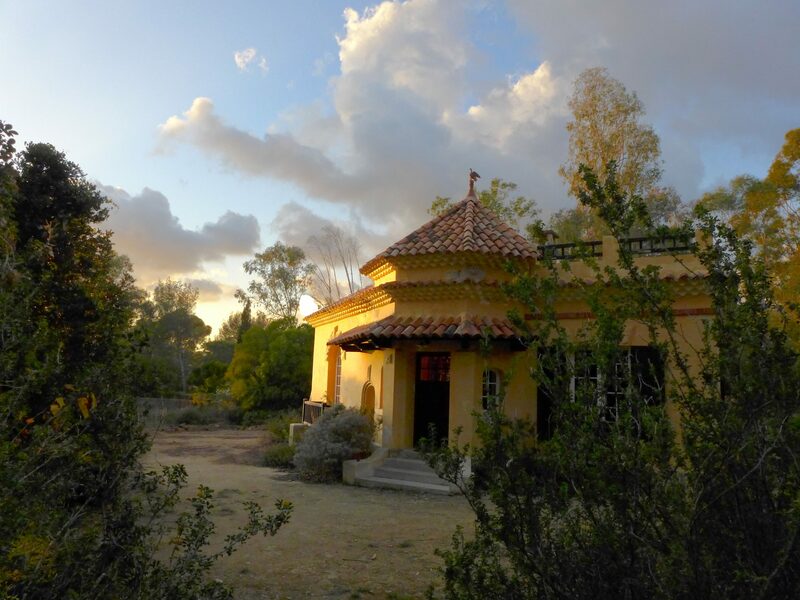 Next to the Domaine’s only spring, a large decorated well cistern was dug out, with a room for pumps and a small pergola. The main building was sold in 1925 to the property company initiating the Le Rayol estate and was became a hotel and casino for about ten years. During this period, it was called the ‘Hôtel de la Mer’. 05. The "Hôtel de la Mer"
In 1939, Henri Potez, an industrialist who had made his fortune in aircraft construction, bought all the buildings. With his architect Raoul Minjoz, changes were made during the period 1940 to 1943 to both the Villa Rayolet and the Hôtel de la Mer. Guillaume Tronchet (1867-1959) was a renowned architect from 1900 to 1935, and Chief Architect of Civil Buildings and National Palaces. He built several pavilions for the Paris Universal Exhibition in 1900, the Dauphine Pavilion and the Pré-Catelan at the Bois de Boulogne in 1905, the Ducourneau theatre in Agen in 1908, The Ministry of Labour in 1929, the Bar-le-Duc and Nice Post Offices, the Leygues theatre in Villeneuve-sur-Lot in 1935, and several large bourgeois residences including the buildings of the Domaine du Rayol. Two of his works – the Ducourneau theatre in Agen and the Villa Rayolet at the Domaine du Rayol – are included in the List of Historic Monuments.